A Viet Kieu Shares His 'Perfume Dreams' People of many nations have stories of America's love-hate relationship with the foreign born. 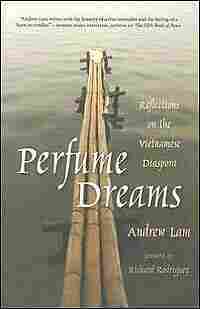 In Perfume Dreams, Andrew Lam explores his identity as a Vietnamese native living in the United States. A contentious debate over immigration has focused lately on immigrants from Mexico. But people from many nations have stories of America's love-hate relationship with those born elsewhere. 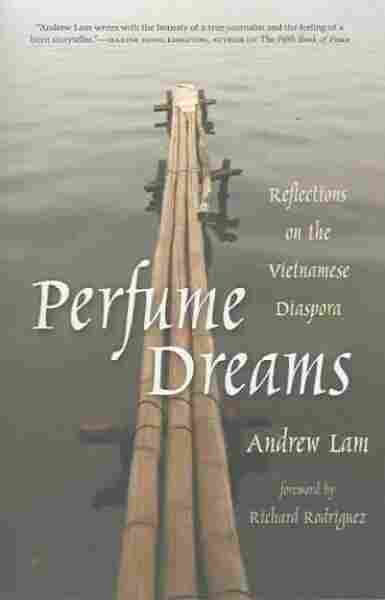 In Perfume Dreams: Reflections on the Vietnamese Diaspora, syndicated columnist Andrew Lam explores his identity as a Viet Kieu -- a Vietnamese native living in the United States. The book won the 2006 PEN/Beyond Margins Award. 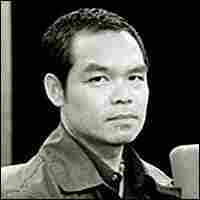 Lam, heard as a commentator on NPR's All Things Considered, discusses the book and the immigrant experience with Farai Chideya. What do you want to be when you grow up?" Mr. K., the English teacher in eighth grade, asked. I had never thought of the question before. Such an American question. But it intrigued me. I did not hesitate. "A movie star," I answered, laughing. Outside, I was ready to believe, to swear that the Vietnamese child who grew up in that terrible war and who saw many strange, tragic, and marvelous things was someone else, not me, that it had happened in another age, centuries ago. That Vietnamese boy never grew up, he wanders still in the garden of my childhood memory, whereas I -- I had gone on. Hadn't I? It was a feeling that I could not help. I came to America at a peculiar age -- pubescent, and not fully formed. Old enough to remember Vietnam, I was also young enough to embrace America, and to be shaped by it. Outside, in school, among new friends, I spoke English freely and deliberately. I whispered sweet compliments to Chinese and Filipino girls and made them blush. I cussed and joked with friends and made them laugh. I bantered and cavorted with teachers and made myself their pet. Speaking English, I had a markedly different personality than when speaking Vietnamese. In English, I was a sunny, upbeat, silly, and sometimes wickedly sharp-tongued kid. No sorrow, no sadness, no cataclysmic grief clung to my new language. A wild river full of possibilities flowed effortlessly from my tongue, connecting me to the New World. And I, enamored by the discovery of a newly invented self (I even gave myself a new name -- "Andy, call me Andy," I would tell each new teacher and each new friend who had trouble pronouncing my Vietnamese name) -- I sailed its iridescent waters toward spring. Liar. Where's the proof? Your father ain't no real general! Yeah, probably a corporal for all we know. Hahaha. He is so. I'll show you. Here is my second act of betrayal. I was sixteen and full of bravado. I had a purple belt in karate, was practicing for brown. I got into fights. I hated being called a liar. I had to prove myself. One afternoon I stole his uniform from his closet. In front of my friends I unfolded the uniform. We were partying in a garage a few blocks down the street, drinking beer, listening to music. Eyes widened. There were oohs and ahhs. I was nervous. There would be harsh consequences if Father found out. Of all the things we managed to bring with us from Vietnam the uniform was the most sacred. Nevertheless I felt triumphant. All my stories were finally validated at that moment. "Whoa, it's for real," Rick, my challenger, said, conceding. My friends took turns examining and marveling at the thing. It had been at the battlefields of Vietnam. It connected them to a world they saw on TV, a world they understood on some level or another that had somehow changed theirs. Many knew someone who went. A few even knew someone who didn't come back. As they examined the uniform, an idea hit me. I grabbed it and went to the bathroom and quickly changed into it. I came back out and started dancing. My friends laughed. A few shook their heads in disbelief. "Crazy kid," someone said. Upon his words, an icy nausea rose in me and I stopped. I felt ridiculous. I felt I had crossed some invisible line and a part of me was offended by my own profanity. I staggered into the bathroom and checked myself. In the mirror Father's uniform hung loosely about me; I looked young and foolish in it. 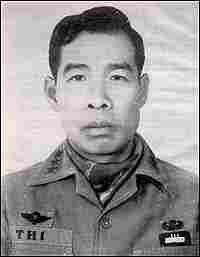 The uniform seemed to belong to somewhere else, in the dark, to memories, to mud and soil and burnt-out rice fields and bombed-out villages, and to the monsoon rain, to an unresolved war and all the profound sorrow and grief that I could neither fully subsume nor process. I felt like throwing up. Then an unreasonable terror rose from the pit of my stomach, my heart pounding -- I was afraid that I could not take it off. I felt entombed in a sea of khaki green fabric. And it was then that I, retching, wanting to laugh at my own silliness but overwhelmed by guilt and a flood of tropical memories, plucked clumsily at the buttons, at my old skin, and wept. When I was eleven years old I did an unforgivable thing: I set my family photos on fire. We were living in Saigon at the time, and as Viet Cong tanks rolled toward the edge of the city, my mother, half-crazed with fear, ordered me to get rid of everything incriminating. Obediently I removed pictures from the album pages, diplomas from their glass frames, film reels from metal canisters, letters from desk drawers. I put them all in a pile in the backyard and lit a match. When I was done, the mementos of three generations had turned into ashes. Only years later in America did I begin to regret the act. A few pictures survived because my older brother, who was a foreign student, had taken them with him. But why didn’t I save the rest, the way I slipped my stamp collection in my backpack hours before we boarded the C-130 cargo plane and headed for Guam? For years I could not look at friends' family photo albums without feeling remorse. Then last week I had a dream that was so instructive it left me with a different estimation of that loss. In the dream I find myself once more in front of my old home in Saigon. I walk through the rusted iron gate to find, to my horror, the place gutted -- an empty structure where once there was life and love. Immediately I start to rummage among the pile of broken bricks and fallen plasters, finding at last a nightstand that once belonged to my mother. I pull at its drawer and out spill dozens of black-and-white photos. I am ecstatic. The photos are intact. They are exactly as I remember them. Here's one of my brother when he was twelve, wearing his martial art uniform and bowing to the camera. Here’s one of my mother as a teenager, posing next to the ruins of Angkor Wat. Here is my father as a young and handsome colonel, smoking a cigar. And me and my sister holding onto our dogs -- Medor and Nina -- as we wave to the photographer, smiling happily. Suddenly a little boy appears in the dream. "This is my home," he yells, "and you're trespassing." "But these are my photos," I meekly protest. The boy looks at me with suspicion and shrewdness and changes his tone. "Well," he says, "how much would you give me for these photos?" But before I can find the answer, the boy laughs and snatches the photos out of my hand. I try to grab them back of course, but it's too late. I woke to find my arm still reaching out over the blanket in a gesture toward the pictures, still trying to retrieve them. Confused and astonished I stared at my own empty hand for what seemed to be a long, long time. In that salty dawn with the cable cars rumbling up the hills and their bells clanging merrily outside my window, I saw what I hadn't seen before: that nothing was ever truly lost. What I failed to retrieve in the dream survives, if only as an exquisite longing. If words and language, as the poet Rilke tells us, can be made into a thing, mute as the statue of an orator, the reverse is true also.